BEGINNING MONDAY, JUNE 4, 2018, registration for Religious Education will be accepted. Please have a copy of your student's Baptismal and First Holy Communion certificates upon registration. Deadline to register is August 1, 2018. 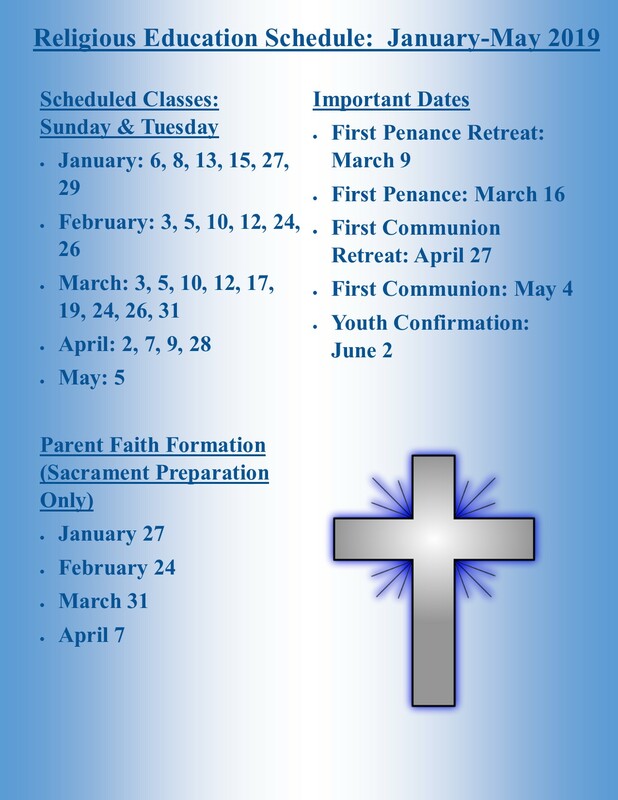 For more information, please call the Religious Education office (909) 796-4308. Registration Forms are now available on the side links. Simply print the document, fill it out and return when registering your child/children. All non-Adult Faith Formation classes require that each student have the Annual Medical Release form completely filled out as well as any subsequent forms. If you have any questions regarding the forms, please call the office at (909)796-4308; or email Mark Sandoval at mark.sandoval1355@gmail.com for further inquiries. 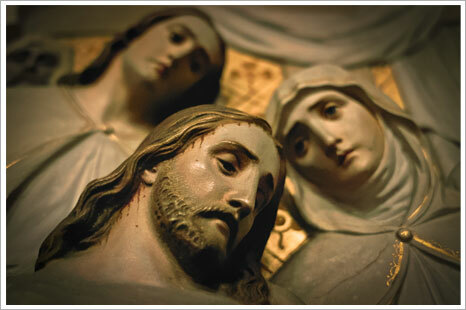 Confirmation 2: 9:30 a.m.-11:00 a.m.
Sacrament Preparation (2nd and 3rd grade): 9:00 a.m.-10:00 a.m.
Sacrament Preparation (11-15 years old): 9:00 a.m.-10:30 a.m.
Kinder (4-5 years old): 9:30 a.m.-10:30 a.m.
1st Grade: 9:00 a.m.-10:30 a.m. Adult Faith Formation (includes R.C.I.A and Adult Confirmation): 6:30 p.m.-8:30 p.m. (Time subject to change)--Will be held on Wednesday Evenings.